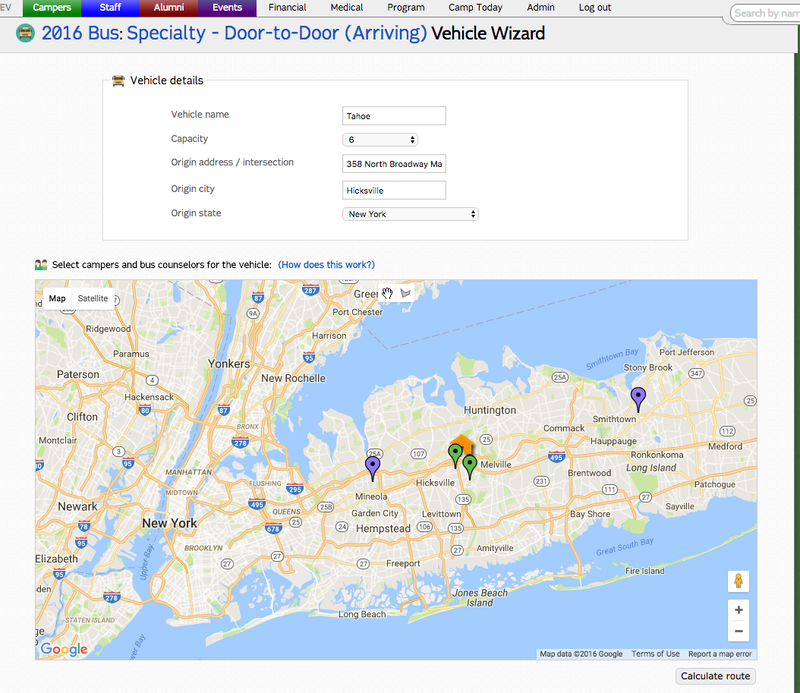 The Door-to-door Vehicle Wizard makes it easily to visualize your campers and bus counselors on a map to determine the best grouping for each route. On the door-to-door bus page, select Vehicle Wizard. 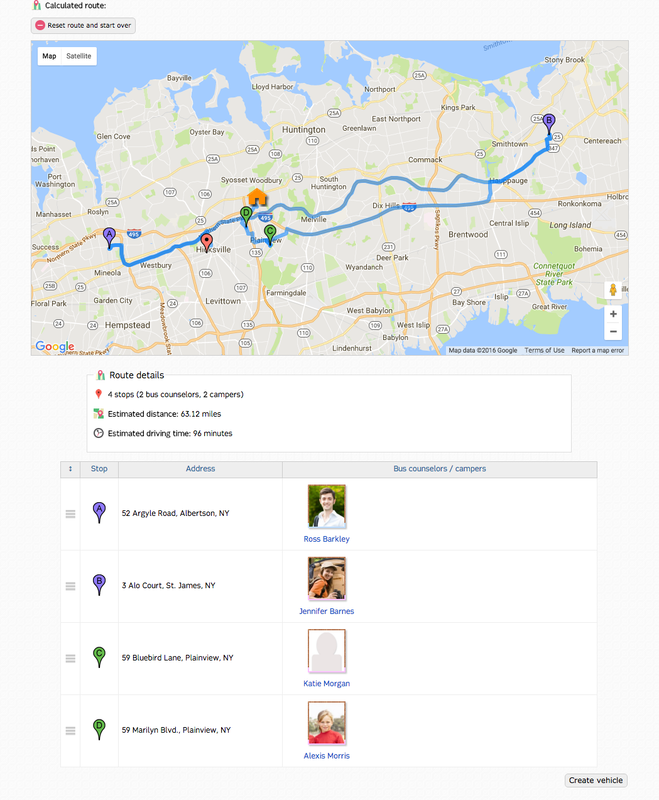 A map will populate with the campers with door-to-door campers (green pins) and bus counselors (purple pins). Fill in the vehicle name, capacity, and the origin details. 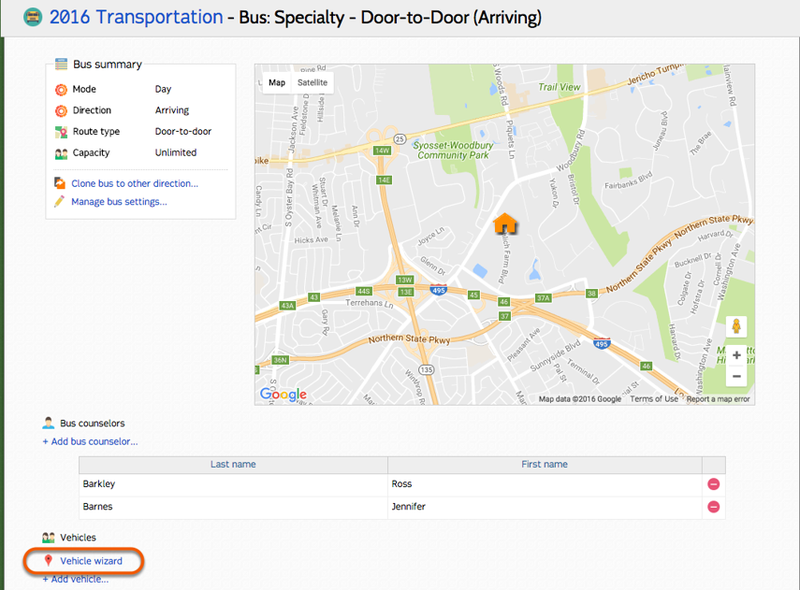 Click the "shape" icon to draw around the pins you wish to include on the route. 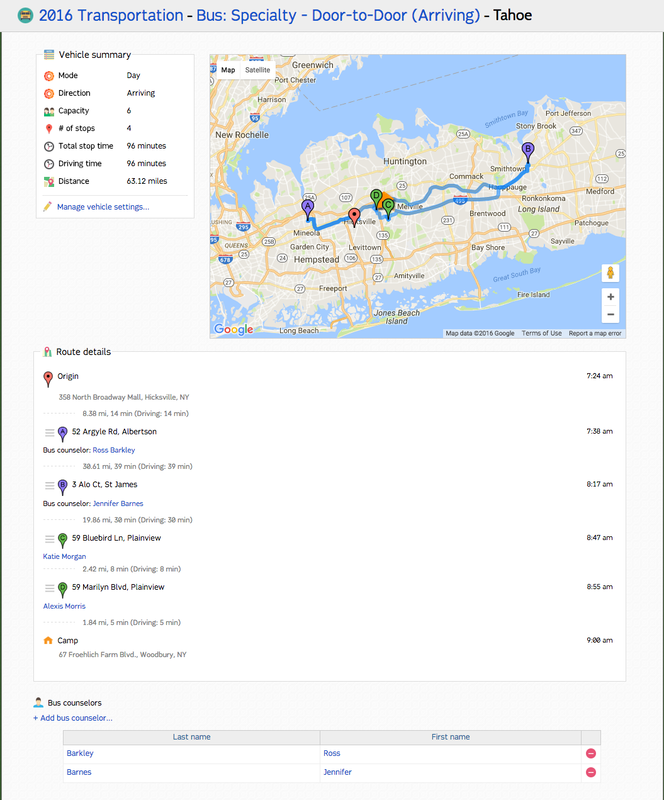 A route is now displayed with the amount of stops, estimated distance, estimated driving time, counselors, and campers. If you are satisfied then click "Create vehicle". A vehicle profile will be created with the vehicle's route.